An experimental installation is created to research the features in the optical and thermo-physical properties of biological tissues under the action of continuous and pulsed laser radiation. The results obtained form a basis for the development of a complex technique aimed at estimating the influence of laser radiation and calculating the laser radiation dose obtained in the course of a laser therapy session. The data obtained may be useful to identify the pathologies of tissues and to accurately determine their boundaries already at the early stages of their evolution, which is important for the proper diagnostics and in surgery. M.H. Niemz, Laser-Tissue Interactions. Fundamentals and Applications (Springer, Berlin, 2007). V.V. 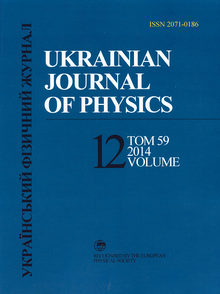 Tuchin, Lasers and Fiber Optics in Biomedical Researches (Saratov University, Saratov, 1998) (in Russian). A.V. Belikov and A.V. Skripnik, Laser Biomedical Technologies: A Tutorial. Part 1 (St.-Petersburg State Univ., St.-Petersburg, 2008) (in Russian). A.V. Belikov and A.V. Skripnik, Laser Biomedical Technologies: A Tutorial. Part 2 (St.-Petersburg State Univ., St.-Petersburg, 2009) (in Russian). FieldMasterTM GS Power/Energy Analyzer. User Manual (COHERENT, 2002). HR2000+ High-Speed Fiber Optic Spectrometer. Installation and Operation Manual (Ocean Optics, 2010). G.N. Zaitsev, Mathematical Statistics in Experimental Botany (Nauka, Moscow, 1984) (in Russian). O.Yu. Rebrova, Statistical Analysis of Medical Data. Application of Software Package STATISTICA (MediaSfera, Moscow, 2003) (in Russian). S.N. Lapach, A.V. Chubenko, and P.N. Babich, Statistical Methods in Medical and Biologicical Researches Using Excel (Morion, Kyiv, 2001) (in Russian).